Editor International of the English Section of the Weekly Press Pakistan and Indo-Judaic Studies scholar, Dr. Navras Jaat Aafreedi would be Visiting Fellow at the Institute of Asian Studies in Brisbane in Queensland, Australia, from 27th October to 5th November, 2013, during which he will present Weekly Press Pakistan as a case study to explain how press can be used as a tool for achieving interfaith peace and reconciliation, at an international symposium on religion journalism, scheduled to take place on the 30th and 31st October, 2013, at the Multi-Faith Centre of Griffith University there. The symposium will examine how journalists can better report on faith and how faith leaders and opinion makers can encourage the inclusion of religious perspective in the news. The symposium is being jointly organized by the Griffith University Multi-Faith Centre and the International Association of Religion Journalists (IARJ). Founded in 2002, the Multi-Faith Centre is a place where people from diverse faith, religious and spirituality traditions can deepen their understanding of their own faith and actively participate in inter-faith dialogue, education and action. The International Association of Religion Journalists (IARJ) is a global network of journalists promoting excellence in the coverage of religion and spirituality. It provides services and resources to strengthen and support the work of its members. It engages media leaders, educational institutions and communities on the importance of accurate, balanced and ethical religion coverage to foster understanding. Dr. Aafreedi’s Australia trip will be supported by a fellowship from the American academic organization Scholars for Peace in the Middle East (SPME). It is a not for profit, grass-roots community of scholars who have united to promote honest, fact-based, and civil discourse, especially in regard to Middle East issues. Dr. Aafreedi, who currently works as an Assistant Professor at the School of Humanities & Social Sciences, Gautam Buddha University in Greater NOIDA, India, has been involved with interfaith peace activism for a number of years and has researched Muslim-Jewish relations as the first Visiting Fellow at the Centre for the Study of Muslim-Jewish Relations (CMJR) at the Woolf Institute in Cambridge, United Kingdom. 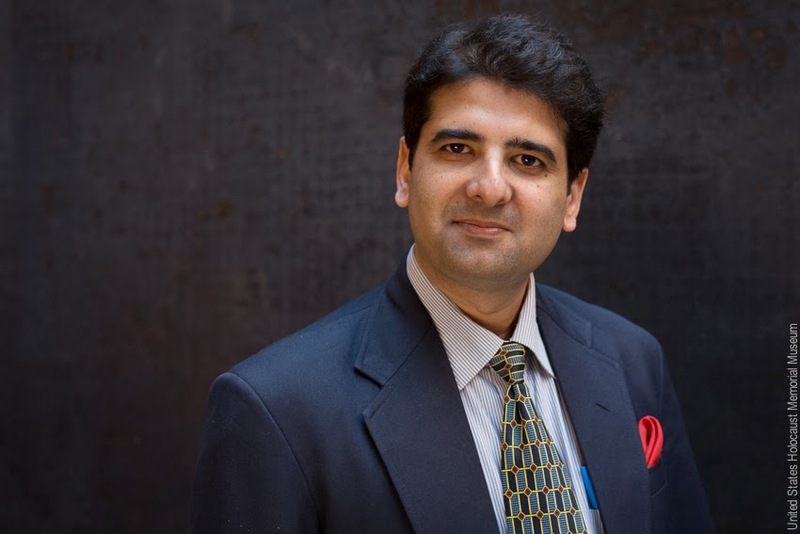 He has to his credit a series of multi-cultural and cross-cultural dialogues he organized at the University of Lucknow and other institutions there involving students from India and more than a dozen countries of different continents. His sincere efforts for Muslim-Jewish reconciliation have been greatly appreciated. Among the fifty-six events he organized in his hometown Lucknow between 2008 and 2010, he has to his credit the first ever Holocaust films retrospective in South Asia, during which forty-six films were screened, seen by four thousand people. He has also been at the forefront in fighting anti-Semitism in the Indian Muslim press. He is also the first person to make any worthwhile contributions to Jewish Studies in Urdu, the lingua franca of almost all South Asian Muslims, the largest Muslim population in the world. He is also a member of the International Advisory Boards of the Jerusalem Press Club and of the Asian Jewish Life and of the editorial board of the refereed Journal of Indo-Judaic Studies. He plans to offer free certificate courses in Holocaust Studies and Jewish Studies under the auspices of his newly established NGO, Society for Social Regeneration & Equity (SSRE) in the coming days and to also get recognition to those courses from prestigious universities. In addition to this, he intends to hold exhibitions and screen films across India to raise an awareness of the Holocaust, combat its denial and minimization and check the rising popularity of Hitler in India. Besides presenting his paper, “Press as a tool for achieving interfaith peace: The Case of Weekly Press Pakistan”, Dr. Aafreedi will also take part in a panel on “Majority Issues versus Minority Issues”. His fellow panelists will be Florence Spurling of Encounter, ABC Radio National and Rachael Kohn, Producer and host of ABC Radio National’s The Spirit of Things, and it will be chaired by Scott Stephens, Religion and Ethics Editor for ABC Online. The symposium will engage with critical issues such as the role of bias in religion journalism, the secularization of religious conflicts and the personal and professional challenges to reporting on faith. In addition to a series of paper presentations and discussion panels, the symposium will feature workshops on developing news stories and using social media to report on faith issues. Having listened to Dr. Aafreedi's interview today on Australian Radio National show, I am overcome by his passion and interest on bridging gaps and furthering Muslim\Jewish relationships. The arguments he presents to support a long established mutual respect between these 2 groups is central in fostering ongoing respect and appreciation of these faiths in a global sense today. Thank you for such a cogent and well balanced view Dr and I wish you well in your endevours in developing further study opportunities on this 21st century issue. Embrassing the past and how it can impact the present and contribute towards a more tolerant interfaith future is paramount and I applaude you for the initiatives taken.